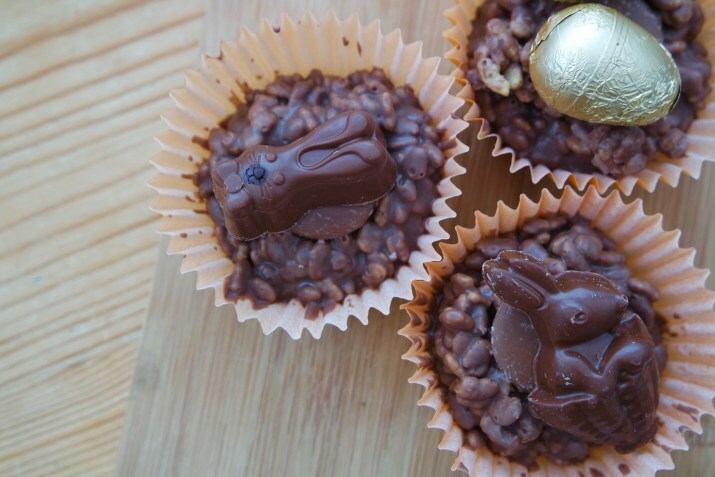 I love this recipe, it is great to get the kids involved at Easter time and you can decorate the cakes as creatively as you like. It’s also better as it uses honey not golden syrup. When I received the Easter Goody Bag from Hotel Chocolat it instantly made me think of cornflake cakes with a bunny on top. I also loved the goody bag as there are chocolates for the grown-ups too! [yumprint-recipe id=’3′]You can buy the Easter Goody Bag from Hotel Chocolat for only £18, it comes complete with a Salted Caramel Slab, Raspberry Egglets, a trio of Scrambled Pralines, a Caramel City Bunnies selector and a trio of milk chocolate bunnies. It makes for the perfect gift for Easter and it’s great for baking ideas with the kiddies.